diamond shadow band for a marquise puzzle engagement ring. 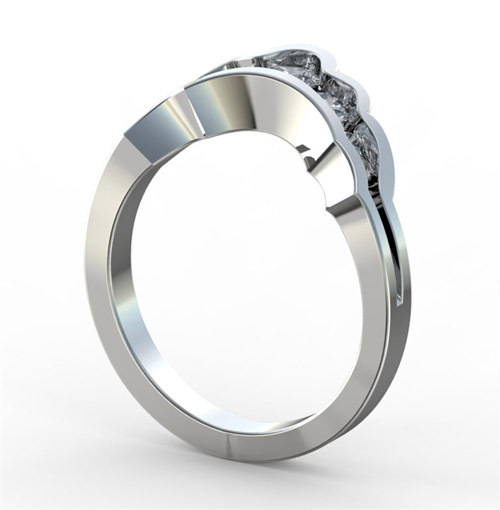 This one was mocked up in a CAD program, but the final ring was made from an original hand-carved wax. You can see it below. 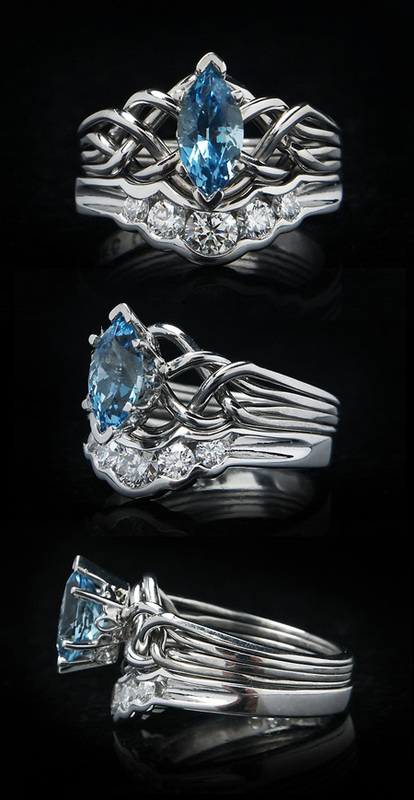 Celtic marquise aquamarine puzzle engagement ring with diamond shadow band. 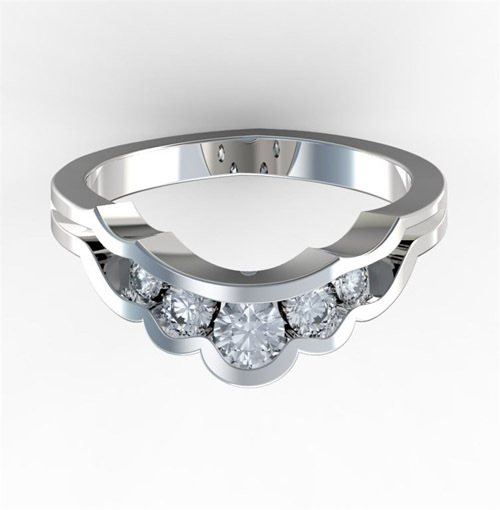 The final shadow band, shown here, was created from an original, hand-carved wax, cast via the lost-wax casting method, hand-finished, and finally set with sparkling diamonds.